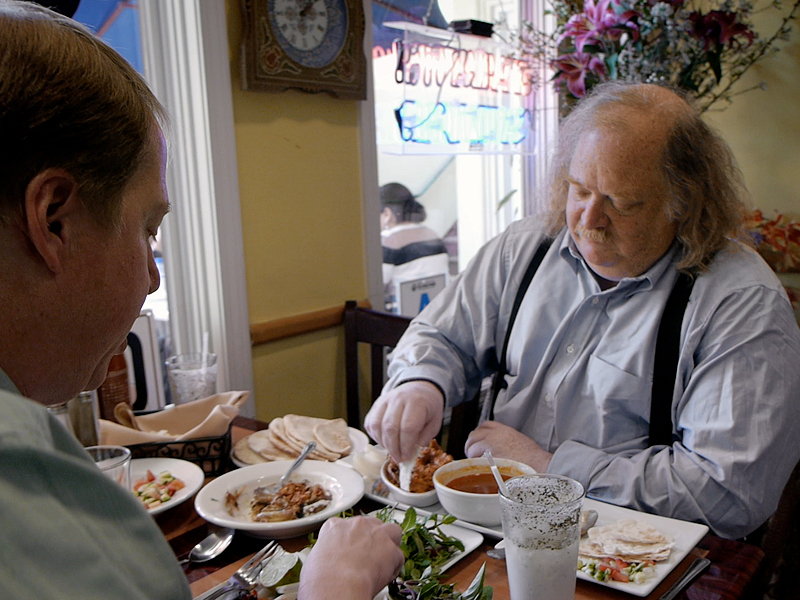 Pulitzer Prize-winning insatiably curious eater and Los Angeles Times food critic Jonathan Gold, star of the new documentary City of Gold, shares how dining out is one of the best ways to discover a city, whether traveling or in your hometown. Finding a city’s hidden gem eateries — be it a dusty food truck with incredible fried fish tacos or a counter spot in a dingy strip mall slinging life-changing pho — is far more than an Instagrammable form of epicurean off-roading. It awakens us to the oft-underappreciated mosaic of cuisines and cultures that make up our cities’ landscapes. 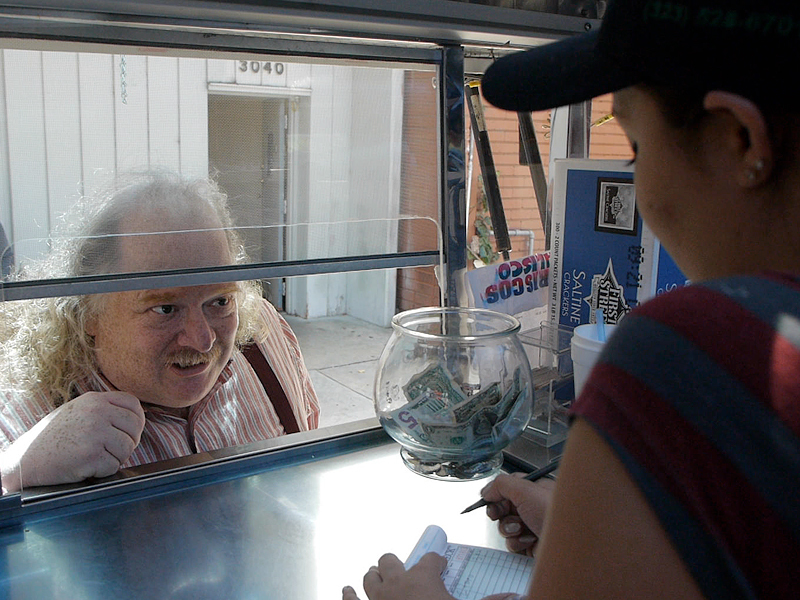 For Jonathan Gold, longtime food critic at the L.A. Times and star of a documentary on this very subject, dining out has always been about uncovering culinary treasures — a quest that started in his early 20s with a mission to try every hole-in-the-wall restaurant and ethnic street vendor on a 15-mile stretch of LA’s Pico Boulevard. Last month while in Chicago promoting the release of City of Gold, he caught up with OpenTable for a little Intrepid Dining: 101. From scouting foreign-language message boards for restaurant tips to eating at (literally) every Indonesian noodle house, he shared advice on how to discover — or perhaps re-discover — a city’s culture through its food. Was there a certain cuisine or experience when you were starting out that sparked your curiosity? I did this thing right after college when I was bored out of my mind working as a proofreader at a law newspaper – I decided to eat at every restaurant on Pico Boulevard. It was at the time of the wars in Central America, so there was a lot of new immigration there and a lot of new places, from street vendors to tiny little restaurants. I’d grown up in LA and driven down this street before thinking those restaurants were monolithically Mexican because everything was in Spanish. And then you start going from door to door and you go, wait a second, this one’s Guatemalan, this one’s Nicaraguan, this one’s from El Salvador, this one’s from Mexico but it’s Jalisco, and this one’s also Mexican but it’s Sinaloa so the food is completely different. Then you do it a little more and you see which ones have big city or European influences because their menus are more continental. It wasn’t even the actual basic things being served. It was just the knowledge that this wasn’t monolithic, that what had seemed like one big thing turned out to be this mosaic — an endless, tessellated grid of culture. And it was so good. What’s your strategy for finding under-the-radar restaurants? I do it a million different ways. I will go down certain streets and eat at every single restaurant. I’ll spend hours on message boards in foreign languages with Google translate, like Weibo, the Chinese Facebook. I also find that going to a restaurant that looks like the center of a community probably means what you’ll find there will be pretty good. It may not be the absolute best one. But then what I’ll do is eat at all of the Indonesian noodle houses to tell you which one is the best one. How long does that usually take you? Sometimes that takes quite awhile, other times not so much. I tend to try to spread them out, but there always comes a time where it will be six places in a weekend. Is there anything that would make you skip a place? Your strategy seems to be to try pretty much everything. Yeah, well (laughs), I don’t like being bored. One kind of restaurant I tend not go to is actually lounge restaurants. I find the food tends to be really subsidiary to what else is going on there. Or if I’m looking at an Italian restaurant and it has exactly the same menu that every other Italian restaurant has, there’s no point in going there. For the average diner experiencing a certain cuisine for the first time, how should they set themselves up for a successful meal? It requires you do a little bit of homework. If you’re going to a restaurant you know serves Hunanese food, do a little research first. Even if it’s just on Wikipedia’s Hunan cuisine page, find two or three dishes that seem appealing to you, then if they’re on the menu there, you know they’re sort of in the right direction in terms of what’s authentic. Or sometimes — waiters will usually sneer at you for this—but you can ask them what they’d serve if their grandmother was coming in. Or else you can ask what dishes are most popular among group X or Y. Have there ever been any places that you wanted to keep to yourself? Oh yeah, all the time. But I usually can’t. There are a couple I haven’t written about that I would have otherwise. One literally has six stools and it’s only open for lunch. They serve a brilliant take on Filipino food, and I should review it because the cooking is on that level, but they couldn’t handle [the business]. But it’s usually not for me to decide. If a place is good, I can’t be the one to decide whether they can handle the business or not. Now that we’ve seen your face on the big screen, is there such thing as an anonymous critic anymore? It’s less about anonymity than plausible anonymity, for which [OpenTable] has actually been invaluable (laughs). I can’t tell you how many accounts I have. If I added them together, I’d have so many points! Follow Gold as he explores the culinary culture of Los Angeles in City of Gold, directed by Laura Gabbert. The documentary is now in theaters nationwide. When you discover a hidden gem of a restaurant, do you keep it to yourself or spread the word on social media? Let us know here or over on Facebook, G+, Instagram, Pinterest, or Twitter. Maggie Hennessy is a freelance food + drink writer and chef based in Chicago. Follow her on Twitter @edible_words and read her other published works at maggiehennessy.com. Photos courtesy of IFC Films and Jonathan Gold. As one who loves to eat out, I really appreciated this article. I particularly liked Jonathan’s advice for finding under-the-radar restaurants. I never had even thought about using Google translate in order to spend time on foreign message boards to find cool places to eat. This is a great article!